The days are getting longer, the skirts are getting shorter, and it only means one thing: Summer is here and it's time to switch things up. When it comes to your feet, canvas low-tops are a go-to and we co-sign that look 100%. But if you want to cause some problems out in the streets, the real trick is to turn your footwear game up to 11 with a pair of acid-bright kicks. 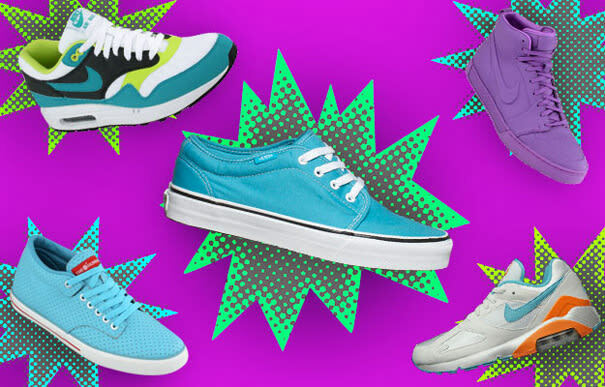 Hit the jump to see 15 pairs of super-bright sneakers that we found to fit the bill, and get ready. Here comes Memorial Day.